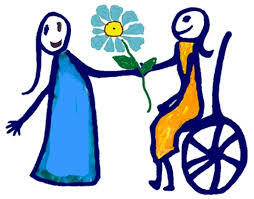 Persons with disabilities should not be discriminated against by service providers in access to goods, services and the use of certain facilities, theaters, shops, hotels, banks, entertainment venues, local authorities, courts and others. It does not matter whether the service is free or not. Service providers must make "reasonable accommodation" to allow a disabled person to use their services, such as installing a ramp for wheelchair access, provide an audio copy of the lease or add buttons in elevators with Braille alphabet. If a claim of discrimination against a service provider for failure to provide reasonable accommodation, he must be able to prove that this failure to provide was founded. Special rules may apply to the transport providers, so as not to treat disabled people less favorably than others. There are some special rules to protect passengers with disabilities in their air travel in Europe. Airlines and travel companies have no right to refuse bookings of passengers with disabilities. Airport operators must provide service allowing people with disabilities to board, disembark or transfer to another flight. This applies to all flights departing from an airport in the European Union (EU), and for every flight arriving in an EU country or EU airline. Under EU legislation people with disabilities can receive assistance with flights to and from Europe, including domestic flights (Regulation (EC) № 1107/2006 of the European Parliament and of the Council of 5 July 2006 concerning the rights of people with disabilities and persons with reduced mobility when traveling by air).